Fisch News: Underweight Proof Krugerrands - Dont buy fake gold coins. Get the Fisch. Protect your gold investment. This report from the Sunday Times in South Africa. The blanks from which the coins are struck come from another company, the Rand Refinery. Getting the weight right is a lot easier than getting the size right in the minting process. The quality control has obviously not been what it should be. Do your own quality control with the Fisch. The SA Mint has had problems with size as Fisch Family members know. The Fisch Family pages are a section of the website for Fisch users only. It is has information useful to gold buyers and Fisch users. 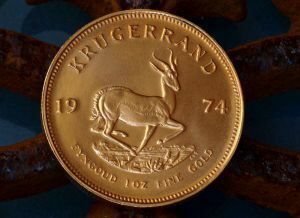 "The SA Mint Company, a subsidiary of the Reserve Bank, has admitted that it made underweight proof or collector krugerrands. Economist Dawie Roodt, a former chief economist at the Reserve Bank, said while mistakes happen, "it is worrying". "These coins were cast at the SA Mint Company and basically didn't have enough gold in them. We should be concerned because this company belongs to the Reserve Bank, which is an important state institution," he said. In a statement on Friday, the bank confirmed that the coins, produced between April and May last year, did not meet "required quality specifications". The coins sell for about R14000 each. Glenn Schoeman, chairman of the South African Association of Numismatic Dealers (SAAND), said the issue was serious. "I am not aware of this ever happening before," he said. The scandal comes in the wake of the suspension late last year of two top executives of the SA Mint Company, managing director Andile Mvinjelwa and Tom Davel, general manager: numismatic coins. Neither Mvinjelwa nor Davel could be reached for comment this week. Late last year, members of the SAAND were called to a meeting at the bank and told of problems concerning the coins. It is understood that dealers were made to sign confidentiality agreements that prevented them from talking about the problematic coins. Reserve Bank spokesman Hlengani Mathebula said local and international coin dealers had been informed of the underweight coins. A verification process showed that some coins appeared to be "under specification to varying degrees". He said that of the 1500 minted in that period, six were found to be below the required weight. Mathebula would not be drawn on the reasons for Mvinjelwa and Davel's suspensions. In December last year, the bank said the men were suspended for "technical issues". Mathebula said this week that their suspension was related to the "running of the SA Mint Company". Roodt said: "This is a cause for concern because the Reserve Bank is involved and must be above potential fraud. It can't be tainted by anything." Mathebula said if collectors felt that the coins did not meet the required specifications, they would be exchanged at the expense of the SA Mint Company."